Original Dominick’s in Dublin – Your local pizzeria. Order online or call us. 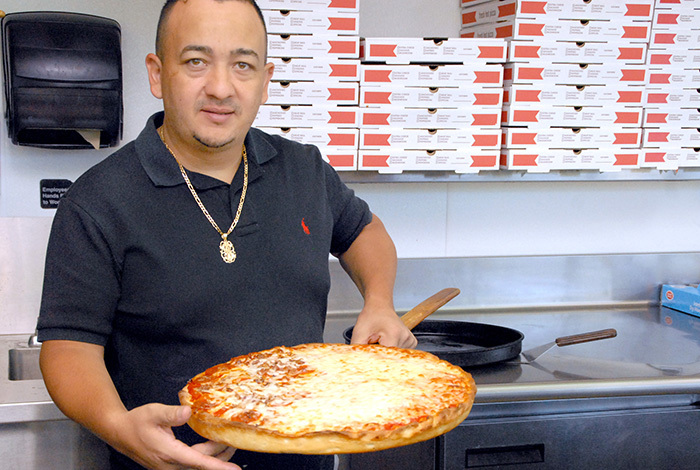 Original Dominick’s Pizza Shop has been operating in Dublin for over 13 years. We use the finest and freshest ingredients available to us to bring you a great quality meal at a very affordable price. Our pizzeria offers excellent food and timely delivery. Come on in and try true Italian food conveniently located in Dublin PA, now on the other end of the strip. At The Original Dominicks, we know good pizza. Period. We strive to bring you the freshest ingredients at the best prices. From American classics, to tasty Italian dishes, there is something for everyone on our menu. Made with homemade tomato sauce and premium mozzarella cheese. Wings, fries, mozzarella sticks and more for your party. Classic chicken, seafood, and veal dishes prepared fresh for you. Amazing restaurant plenty of seats, and of course amazing food!! staff is very friendly and welcoming and it’s really is an all around 5 star restaurant. i love this place and recommend it to everyone!! It’s truly the best place to eat.